Venice also known as the ‘The Floating city’ is Italy’s wonder located in the Venetian Lagoon. The city of Venice portrays an ambience that is the sole feature of a city built upon centuries of history, not to forget the image of Venice as the ‘City of Water’ has become a major tourist attraction. Yes, it is serene and beautiful but there’s a lot more to it! 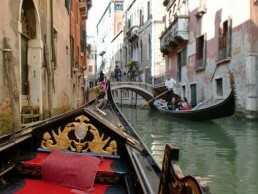 Venice is ranked as one of the most popular tourist destination of all times, but why is Venice a must-go destination? Here are 11 tempting reasons to pack your bags and visit Venice! I am sure that most of us have read or at least heard of the classic Shakespearean play The Merchant of Venice. Well, you’re in for a treat! Venice is the city of writers, nearly hundreds of great writer have been inspired by the secretive allure of this city. The Architecture, flowing water, music in the background and the inspiration from literary greats gives you something to ponder on. After-all the city’s ambient background is unreal! The entire trip would just be incomplete if you don’t ride the classical Gandola Venetian boat and it is specially used for tourists so you can get to meet a whole lot of people from different countries. And as Venice is built on a variety of Islands the entire ride you would get to witness some of the most amazing scenes in Venice. 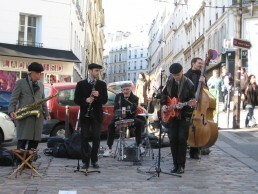 Starting from the Gothic style architecture to music being played in the streets! It is interesting to study the evolution of fashion especially in the context of this city. It is a fact that the earliest change in fashion trends started from this very city. 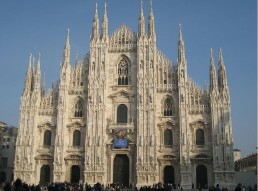 Venice is still influential in this world as many Italian fashion shows are exclusively held in Venice around the year. And frankly, if you would just observe the people out there you would find that Venetians still are quite fashionable. Setting aside the fact that Venice is characterized by its fantastic seafood the city also has a speciality in the form of cookies known Baicoli. Venice is famous for its Oval shaped and almost golden coloured cookies! Other forms of sweets are relished by the residents; this just further explains why Venice is such an amazing place to visit. Museums naturally are an attraction for almost every tourist because of the fact that it provides an in-depth understanding of the culture and traditions of a country and in our case Hungary. Many of the museums in the capital city contain monumental art and paintings that reflect many philosophical ideas and movements that were popular in Italy. Not to forget the rich history preserved in the museums speaks volumes of how museums are given importance in Venice. The Gallerie dell’Accademia is a 19th-century museum containing extensive pieces of art and paintings relative to the Italian culture. What’s better than a carnival showcasing distinctive masks and changing fashions of Venetians? 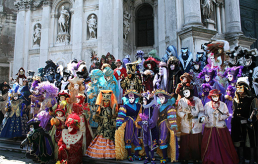 The Carnival of Venice is an annual held fashion show. The main attraction for tourist in this carnival is ball dancing with their masks on and as tradition recalls this has been happening for decades! Although Venetians are not so inclined towards sports, many still enjoy the variety of outdoor sports. FBC UNIONE VENEZIA is the main football club of Venetia and is supported by thousands across the city. Also, their home teams ground Stadio Pierluigi Penzo one of the oldest historical grounds in the city. And they love Marathons! Ever wondered what it would be like to be in a James Bond film? Well, unfortunately, Venice is not going to cast you as the new bond but it will provide you with the closest experience of a James Bond film set that you can ever experience. Three of the Bond films From Russia with Love, Moonraker and Casino Royale have been filmed in this city. Are you a Night Owl just like me? Perfect! Nights in Venice are simply mesmerizing. From Cafes to pubs and nightclubs this city has everything. Imagine spending the evening in a Gondola boat around the city and then having a few beers in a local pub! There are literally countless fun ways to spend the night in Venice!